Have you ever encountered the feeling of being somewhere far away from your comfort zone, yet still felt very much at home? Two years after my winter visit to the Fogo Island Inn, the feeling of hospitality and warmth that greeted me still resonates pleasantly in my memory. Amongst the many Relais & Châteaux and three-star Michelin restaurants around the world, this establishment has something special that made it unique and worthy of a trip to one of the four corners of the earth. However, this state-of-the-art Inn on a remote little island had something that made it special, something that similar establishments have begun to foster, but never fully fleshed out — a sense of belonging. Once the ferry docks and the ramp drops, passengers are introduced to a barren land, alienated from the typical Mainland landscapes we are accustomed to. With its own subtle beauty and quaint attributes, the terrain sets a tone of tranquility and simplicity as guests proceed towards the Inn. Along the way, little wooden homes, intrinsic to the outports of Newfoundland, sprinkle this blank topographical canvas with lively colours. Hints of hyper-modern structures planted along the way suggest what is to come. As travelers make their way towards the tiny community of Joe Batt’s Arm, Todd Saunders’ architectural oeuvre d’art makes a stunning statement along the horizon. A statement that founder and native islander Zita Cobb has been nurturing for years. The all-white structure perched on bronze-coloured pillars creates a sense of surrealism and awe as guests are presented with a unique contrast of slick modern design grafted on to rustic earthy textures. One of the most interesting elements of the of Fogo Island Inn is found in the build-up towards the Inn and its final reveal. It begs the question whether the Inn’s location was determined by purely logistical reasons or was it a carefully crafted artistic landscape thoroughly thought out by Zita. The concept is a three-dimensional artwork that guests can inhabit. The little details that make the journey toward the Inn so special are continued by the reality of the Inn itself. The moment guests pull into the parking lot, they are greeted with one of the most hospitable, genuine welcomes I have ever had. The Newfoundlanders’ innate desire to welcome guests with open arms creates a sense of belonging that encompasses the visitor like a warm hug even before crossing the threshold. This comfort is reinforced by the interior design and carefully orchestrated cultural adventures offered to guests during their stay. You can wrap up in a handmade quilt and later visit the granny that made it, go for a snowmobile ride or pick berries with a guide. 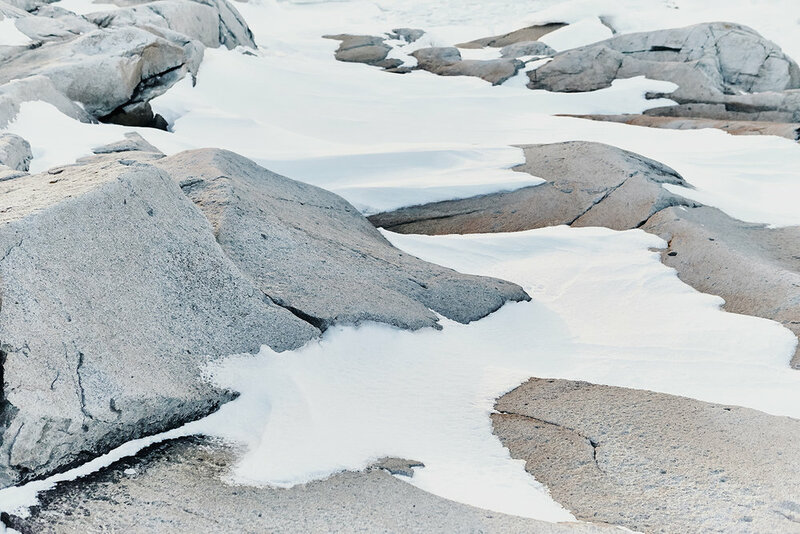 Every aspect of the Fogo Island Inn experience has been exquisitely crafted to greet guests with a sojourn that beautifully meshes luxurious sophistication and home-style relatability. Zita Cobb’s overall concept and attention to detail finds itself distilled into a microcosm with the Inn’s the fine dining element. When I visited the Inn, the head Chef was Murray McDonald. A local Newfoundlander, he had returned after years of international practice to create a fine dining experience based on his roots. Upon first meeting him, the same sense of genuine hospitality radiated from his persona, a perfect fit within the overall milieu. Located in the back corner of the Inn, opening onto the crisp ocean and rugged terrain, a spacious dining room flooded with natural light greets guests as they are seated. White tablecloths pay homage to the classics of fine dining, while the place settings, a combination of simple cutlery and unpretentious serviettes, bring a sense of casualness to the space. The entire affair is perfectly balanced between the refined qualities of fine dining and the unceremonious and familiar sense of hominess and casual family dinner parties. While table service is focused and executed on the same principles as other fine culinary establishments, the genuine interactions with front of house staff shatter the typical robotic nature of the gastronomic industry. Each staff member has the innate ability to establish a sense of fraternity that is so unique I have yet to encounter it in any other venue. The diner feels unexpectedly at home within this lavish space. In many ways, the food reflects the same principles established throughout the Inn. Chef McDonald’s approach spoke wholeheartedly to the Inn’s philosophy, curating a menu that only used local ingredients and traditional dishes. He pays homage to Fogo Island and Newfoundland culture, as well as his deeply rooted passion for his grandmother’s cooking, by crafting and refining staple Newfoundland dishes into fine dining works of art. His approach, perfectly balanced hearty feel-good meals while emphasising the flavours of each ingredient, created a unique contrast in every dish. From freshly caught local seafood, to pasture raised lambs, or even foraged berries and herbs, Chef McDonald utilized his knowledge of the island’s culture, to instill the Fogo Island experience in each guest that sat at his tables. A journey to the Fogo Island Inn is more than a pleasant stay with fine fare. Like a work of art, the whole has been meticulously yet passionately crafted. The visit is profound and visceral. It’s only by reflecting on each element that we realize the joyous quilt that is Fogo Island Inn. 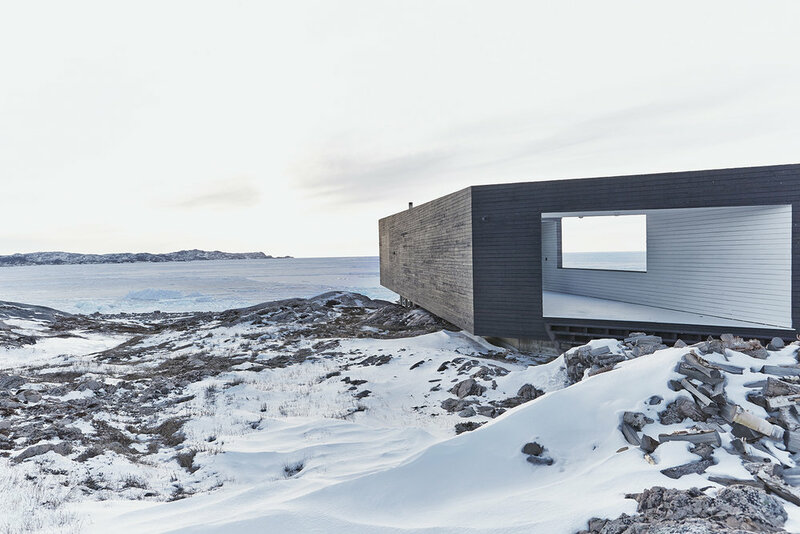 It is the chance to live inside a work of art—an experiential piece orchestrated by Zita Cobb that involves a unique, passionate community, taking guests on a journey to one of the four corners of the earth to truly absorb local traditions. From the moment guests arrive on Fogo, everything has been curated in a way that connects to the genuine lifeways of the island, taking this hospitality experience to unprecedented heights. Most importantly, this work of art has the ability to evoke a sense of belonging in each guest. And that to me, is hospitality. Welcome home. Special Thanks to Christine C.